about paying taxes and awareness of tax-related identity fraud. is worse than having to floss. fraud,” said Joe Gervais, LifeLock’s security communications director. Velasquez, president and CEO of the Identity Theft Resource Center. stolen from data breaches and email phishing scams. fraudulent federal income tax returns. if you receive one, forward it to phishing@irs.gov. IRS needs information, it will contact you by regular mail. your data is safe from an attacker on the same network. documents no longer needed such as tax paperwork older than four years. 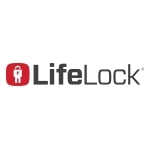 Poll on behalf of LifeLock from March 16-20, 2017 among 2,198 U.S.
identity fraud, visit LifeLock’s blog.